Lookie here... 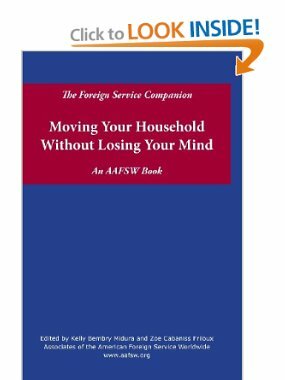 The Foreign Service Companion is out. You can buy it on Amazon. Just check out the table of contents and see all the wonderful articles to help you make the decision to join our crazy lives. Bubblefly: A flying insect with often colorful wings. Catterputer: Those little crawly bugs that turn into bubbleflies. These were a few shared words between the boys, when Nicholas was 4 1/2 and speaking at about 3 1/2, and Jonathon was 3 years old. Of the three, two are still in use in our house, though Bubblefly has since mutated to Bubblebye. Catterputer remains the same. Munty has sadly disappeared. There are books and websites out there about the interpretation of dreams and parts of dreams. Ones involving lost teeth, being chased by wolves, losing a loved one, falling, flying. It's all figured out and documented. I, like everyone else, have some dreams I remember but most I don't. The ones I tend to remember are those that wake me in the middle of the night and then cause restless, dozey sleep the last few hours of early morning. There are those that repeat over time, sometimes not for years, but quickly recalled that yes, I'd dreamed it before. Some result in deja vu later on. Dreams are a weird beast. The first time I truly remember these particular dreams was in Togo: a cave with fast flowing water careening past while the kids and I were in a little cove with water swirling, just waiting for a misstep to pull one of us away and disappear into the flowing depths. I had that dream regularly for months. The same dark cave, the same swirling pool, the same flashing river, the same loss of Jonathon over and over again. I tried to grab him as he tumbled into the pool and then disappeared down the river. It was not a pleasant time, but it didn't take long to connect it to my unhappiness and frustration at living in Togo. Yes, the dreams resulted from stress and they always involve fast flowing water and usually involve trying to keep family members safe. So today I'm trying to figure out what my brain is really gnawing on. Last night's... this morning's... dream took place in the dark. 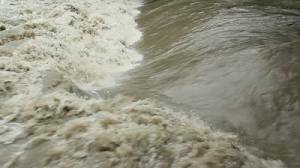 A raging river. Houses submerged. A search for someplace safe. It was a little different than the norm, my kids weren't there, but some kids were. I don't know who they were, it was a class of some sort. And my parents. My parents were there. 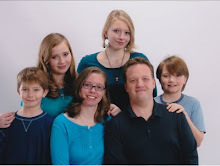 My parents, this pack of kids, and I were rushing to get somewhere, and the river raged on. The dreams aren't involved, but what they are is unsettling. This time I didn't lose anyone, but I wonder why I had it at all. What does my brain know that I don't?